Websearch.coolwebsearch.info is a browser hijacker which has probably found its way to your computer bundled with freeware applications. You will want to remove this malware the moment you see it active on your system because it will hijack your Internet browser, thus paralyzing your web browsing activities. Though the website itself is not directly malicious, it might be taken advantage of to reroute you to unsafe pages that contain dangerous infections. Computer users must delete browser hijackers like Websearch.coolwebsearch.info because they are known for aggressive behavior that manifests in changing your home page and the default search provider without permission. At first sight, Websearch.coolwebsearch.info might seem like a legitimate website; however, the advertisement flashing at the center of the page suggests that it has ulterior motives. The hijacker employs the search engine finddamo.com to supposedly help you with your search. However, keep in mind that this website is already known as unreliable; therefore, you should not click on any of the search results or, better still, remove this browser hijacker from your system. The point is that the search results are potentially unreliable and they might redirect you to random sites that contain corrupted content. And it is not unusual for this content to be extremely dangerous. 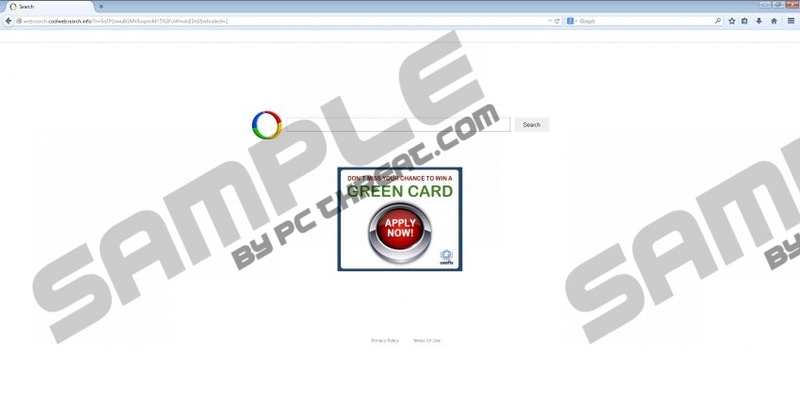 It has been noticed that the Websearch.coolwebsearch.info hijacker spreads bundled with the MultiPlug adware apps such as UniSales, YouTubeAdBlocker, EZDDownloader. If you installed any of these programs recently, delete it immediately before it has caused you even more trouble. You should avoid downloading free applications and utilities from suspicious third-party sites, because it is very likely that it is how you have installed Websearch.coolwebsearch.info on your computer. This browser hijacker works in the same manner as its other well-known clones such as Websearch.good-results.info, Webearch.pu-result.info, and Websearch.searchere.info. These hijackers are more aggressive than generic adware and their aim is to generate a flow of advertising content hoping that you will click on the featured sites sooner or later. You should remove Websearch.coolwebsearch.info as soon you have the opportunity to do it. Manual removal might not be the easiest task to carry out because this browser hijacker does not have an entry in the programs list in your Control Panel. Generally, the best way to delete this malware is restore your browser settings to default. After you have terminated the browser hijacker, make sure you have a trusty antimalware tool to do a full system scan which will help you detect all the remaining malicious files. Remember, a reliable security tool is the best way to secure your machine against potential threats. Press Alt to open the toolbar. Select Internet Options and choose the Advanced tab. Select the tick box next to Delete personal settings. Click Reset to remove Websearch.coolwebsearch.info. Open the menu at far right of the address box. Click on the question mark (‘Open Help Menu’) at the bottom of the menu. Choose Troubleshooting Information and click Refresh Firefox. Click Refresh Firefox one more time to remove Websearch.coolwebsearch.info. Open the menu at the right side of the address box. Scroll down to the very bottom and click Reset settings to remove Websearch.coolwebsearch.info from your computer. Quick & tested solution for Websearch.coolwebsearch.info removal.